Comtek exclusively handles returns for smartphone manufacturer mPTech (previously myPhone) in the UK. 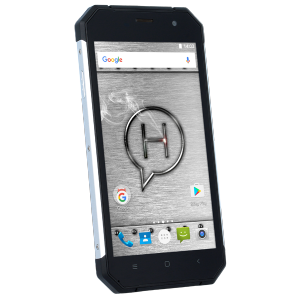 This covers all industrial phones from its rugged Hammer range and all consumer handsets. Customers who are having difficulty with their mPTech or myPhone handset are advised to first consult the troubleshooting guide further below this page to minimise inconvenience. If you are still having difficulty, please contact Comtek using the form at the bottom of the page. If you have any queries about the terms and conditions listed below, speak to Comtek on 01244 280390. Warranty is only valid with a signed vendor warranty card or a legible proof of purchase. Software different than the one pre-installed or authorised for the device by the manufacturer. In the event warranty is void as indicated in Points 1 and 2, the handset will be returned at the customer’s expense. If you have any problems with your device, make a backup of your important data (contacts, SMS messages, pictures, videos, music, etc.) and then restart your phone or restore default settings. If the problem persists, read the tips below and follow the suggestions in the case of a particular type of problem. Verify if it is properly installed in the SD card slot. If the problem persists, use another SD card with proper class and capacity. Verify if the phone is properly connected to another device. Check the USB connection type in your phone settings (the shortcut is available on the notification screen). If the problem persists, use a different cable. Check if the phone works in airplane mode which disables any wireless network functions. Check the network range. Check if the function is turned on in the phone and if the settings are set properly. Verify the correctness of the Wi-Fi logon password. Check Bluetooth device visibility options. Make sure that both devices are in range of Bluetooth connection and that there are no obstacles between them (please note – some LCD monitors absorb magnetic waves). Make sure that both devices have enough free memory to share files. Make sure that both devices work in airplane mode (airplane mode blocks Bluetooth). Make sure that the sound in the phone is not muted and check other sound settings. Verify if the plug is properly plugged in the minijack 3.5 mm socket. Some minijack plugs may vary and this might be a reason – try another cable. Verify another cable or use an adapter (not included). Verify if the camera lens is not covered. Verify if the device has sufficient free memory on the SD card or internal memory (depending on the memory where pictures or screenshots are stored). Verify if the SD card is properly fitted. Although the battery is charged, its level of charge drops continuously – turn off all options such as Wi-Fi, Bluetooth, Location and decrease the screen brightness (those options are the most power consuming), then use the airplane mode. Those simple steps speed up the phone charging. It is recommended to charge the device using the adapter, not the PC USB socket. If the problem persists, contact logistics@comtek.co.uk You will then receive advice on sending in your phone for repair. Alternatively, use the contact form at the bottom of this webpage. Handsets listed below are correct as of the last time this page was changed. Use this contact form to begin your mPTech/myPhone RMA request.